Photo of the Week: It’s the Skyline that Gets Me, Sydney. Sydney Opera House During a Walk. Sydney, Australia. When people think Sydney one of the first things they think of is the Opera House. It’s an iconic building built-in 1973 and visited by people from all over the world. It’s a UNESCO World Heritage Site and hosts more than 1,500 performances of the arts every year. During the one day layover I had last year, I walked along Circular Quay, Sydney and Farm Cove and wherever I looked, there was a photo to capture of the Opera House. 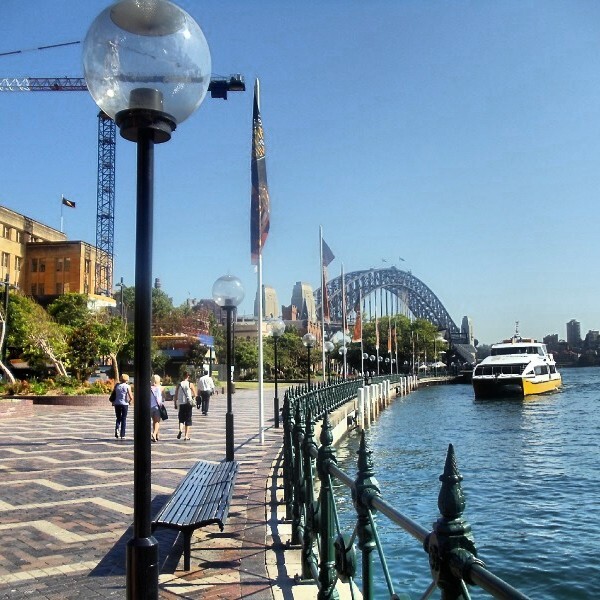 Shot from Mrs. Macquaries Point, a romantic spot opposite the Farm Cove where many shots of the Opera House and the Sydney Harbour Bridge can be captured together. Zoomed in shot from the same spot. Photo from just south of the Opera House at the historical Man O’War Steps. From a little further back towards the Royal Botanical Gardens. Walking along the east side of Sydney Cove, looking out towards the harbour, you’ll find more great shots of the bridge and Opera House together. From the bottom of the steps on the front and south side. The Opera House and all of Sydney is great to see and capture up-close. I need to have a longer stay there next time. What places would you recommend capturing photos of the Opera House from? Of Sydney itself?